For any company trying to sell their product online the pricing page holds significant importance. The pricing page in modern web design acts as a landing page and is often one of the most converting pages for the company brining in actual revenue. I have compiled a list of some pricing pages from all over the internet. I will also talk about a bit about their design and why they are using them. You can click on each headline to view the actual webpage. Clearly defining their three tiers of pricing with an emphasis on price, who it’s for and the number of contacts for each tier. The reason I chose their pricing page is to show you who they designed it. There are lots of elements to be considered in their pricing structure but the crisp design helps to keep things simple for potential buyers. Also, take a look at how they are using 2 call-to-action button under each tier. 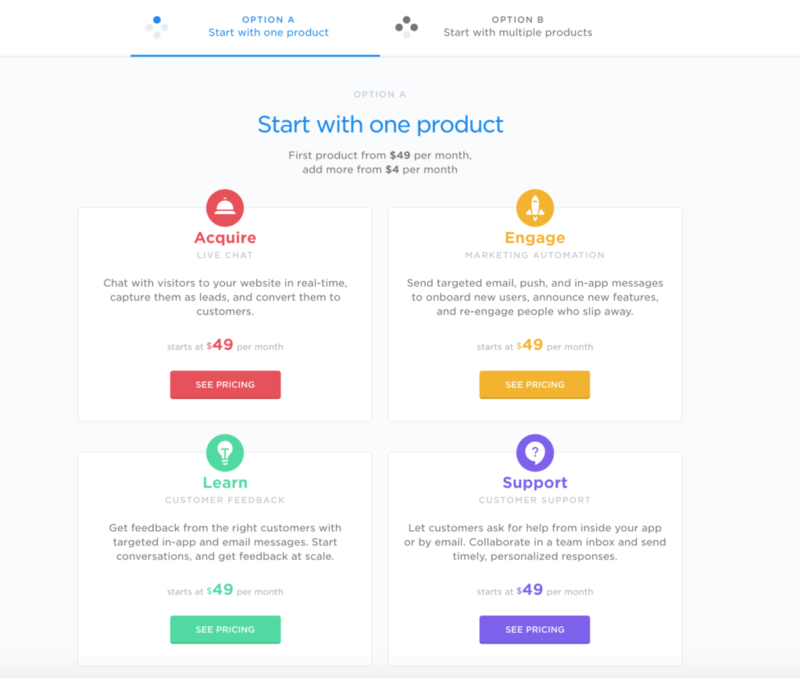 The main pricing area of intercom has a card like design. What’s more interesting is how they integrate their bulk product pricing as a master option on top. 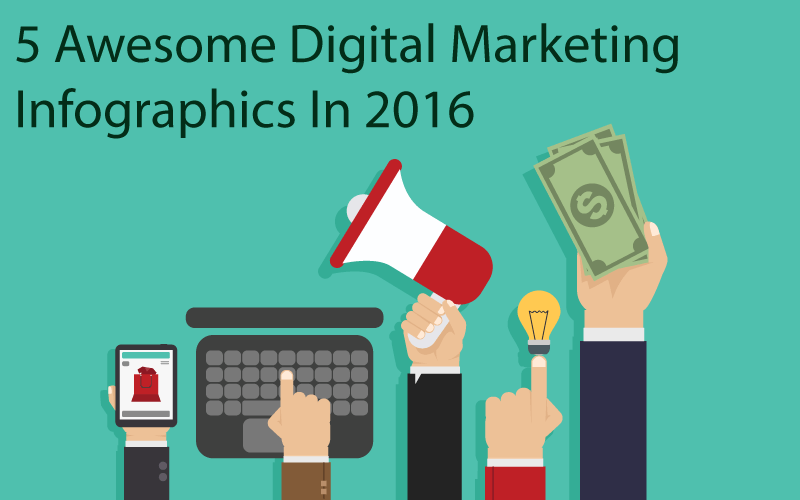 This allows anyone to navigate their complete list of pricing packages more easily. 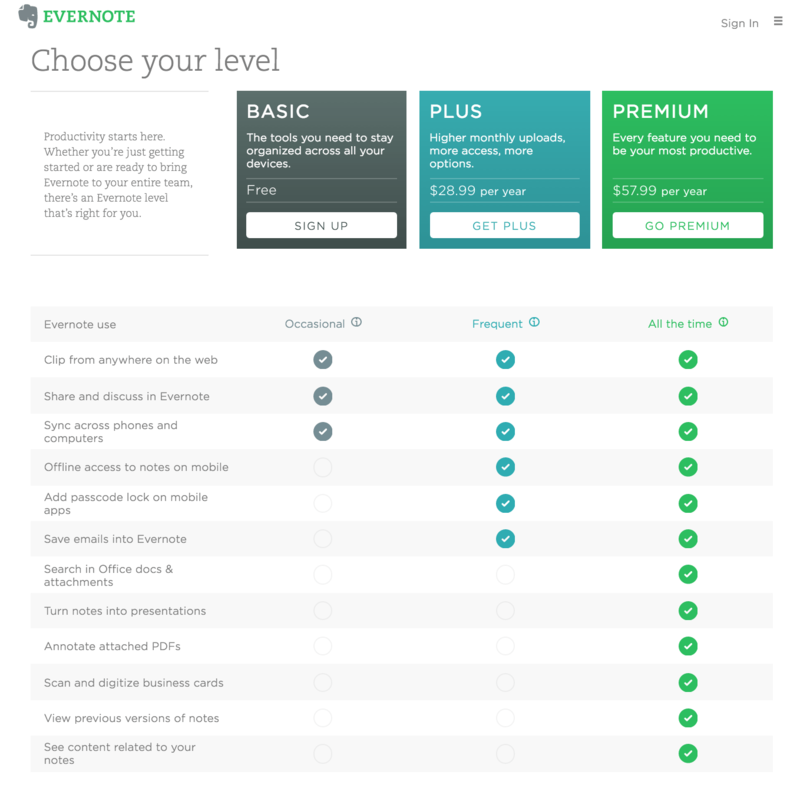 If you want to highlight every single feature for every type of plan then you should take your inspiration from Evernote’s Pricing Page. 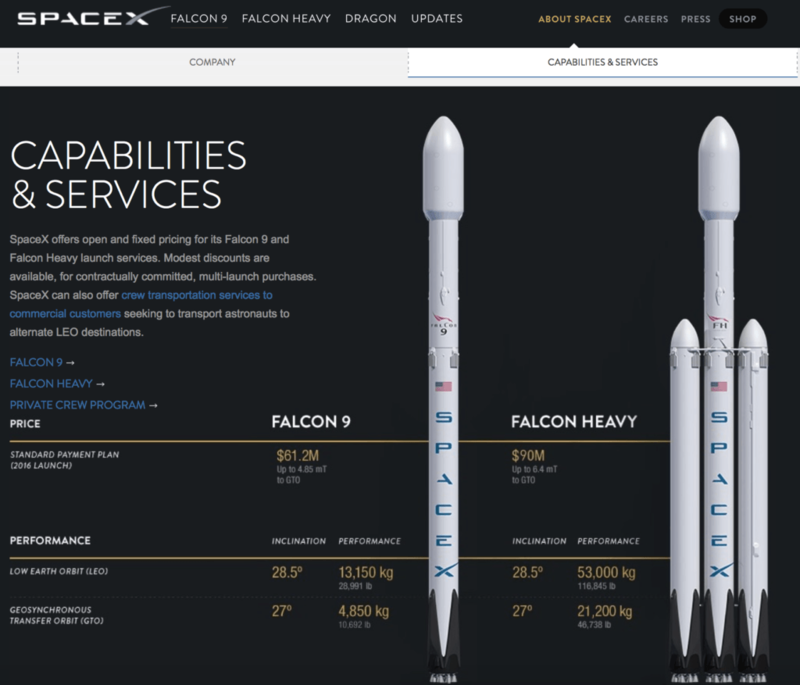 Apparently SpaceX does have a pricing page and you can draw inspiration from them if you are in the B2B product industry. Beatifically designed the page details all the configuration and pricing for their 2 rockets with big illustrations for each one of them. Asana is a task management software for teams. Although they have a free account their pricing page shows the added features and benefit for their paid account as well. 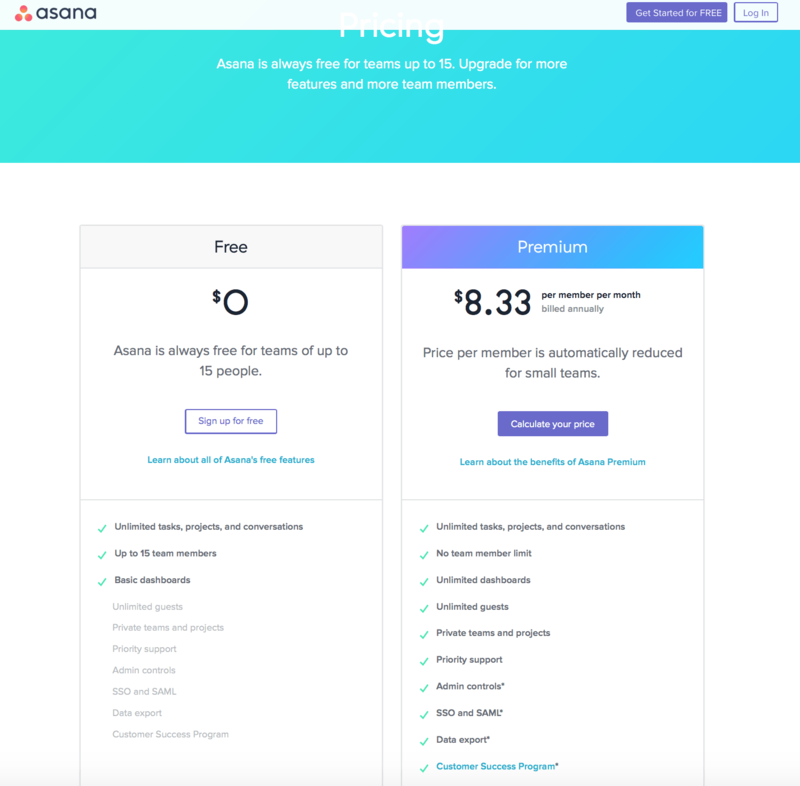 The Asana pricing page is a good example of how you can promote a freemium model for your business online. This is not exactly a pricing page but a good example of user based pricing quote. 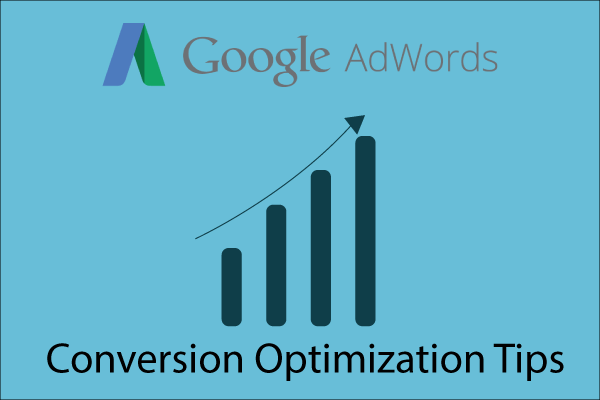 You can use the example below to do something similar if you are selling highly customizable products to give your users an interactive estimate. 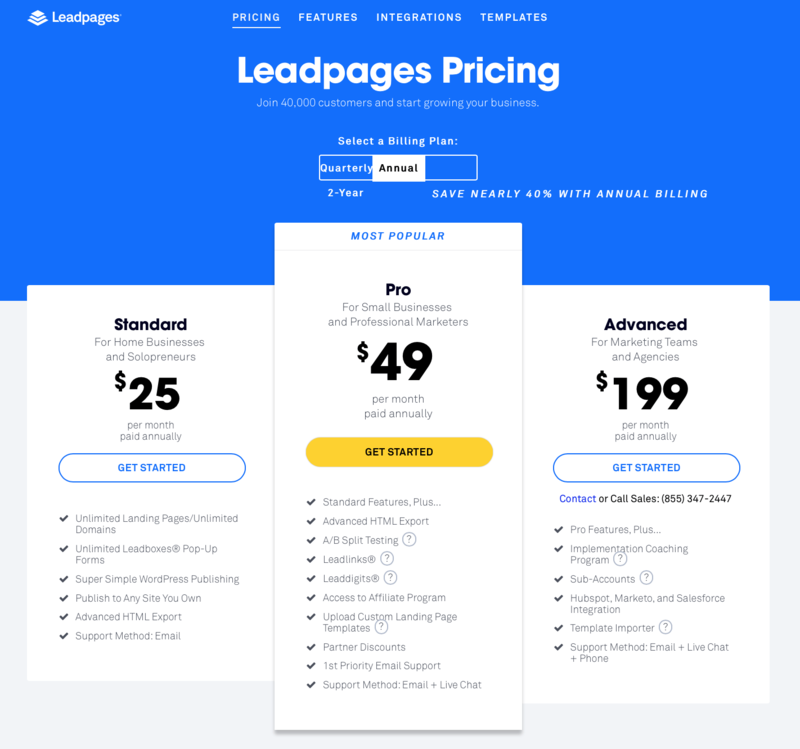 LeadPages pricing page features a stunning simple design with bold text at top that kind of acts as a call-to-action. There are three pricing tier with emphasis given to their middle tier that’s bumped up. Two tiers one at $5 a month and another at $10 a month. 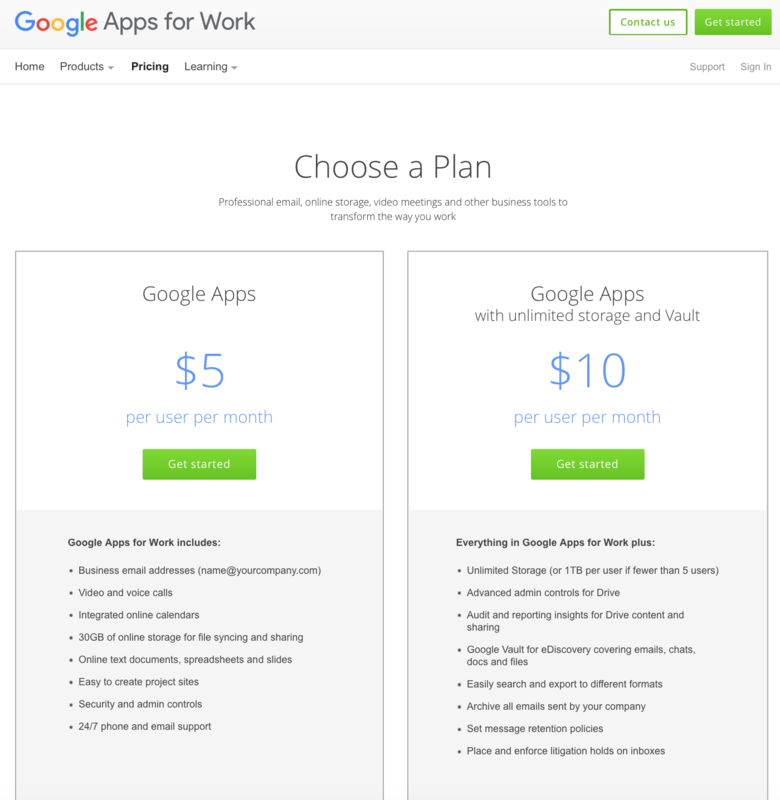 The Google Apps pricing page features a clean layout that utilizes lots of whitespace so that you can focus more clearly on the difference in the features between the two plans. 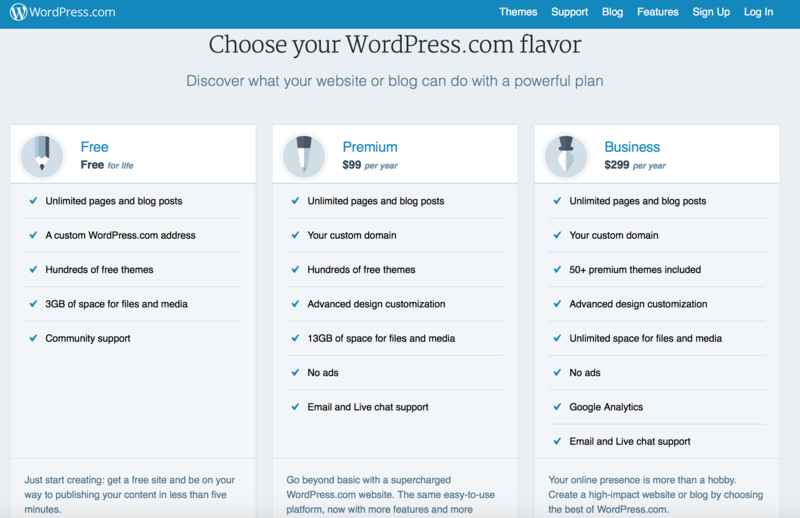 WordPress offers premium plans for anyone looking to host their website with them. 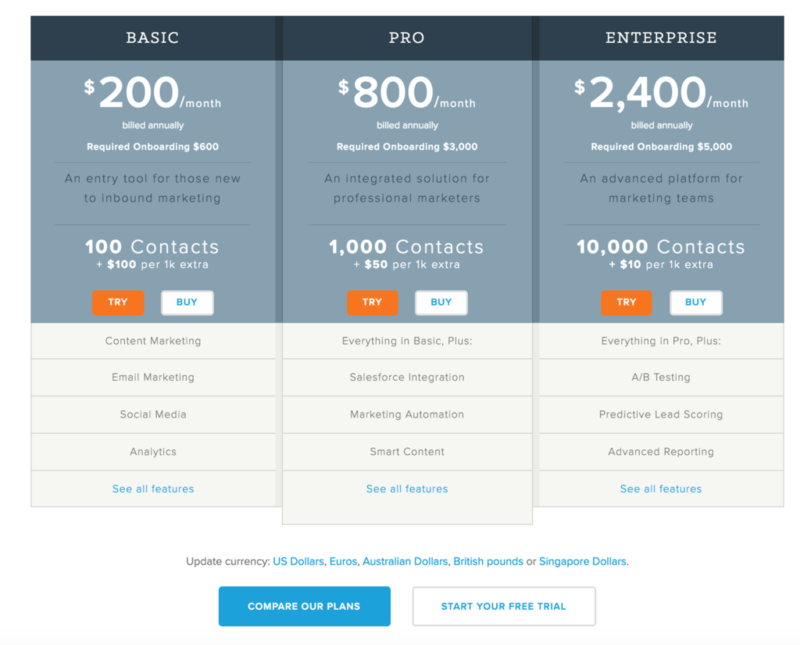 Their pricing page uses a table like layout with clear distinctive plans. 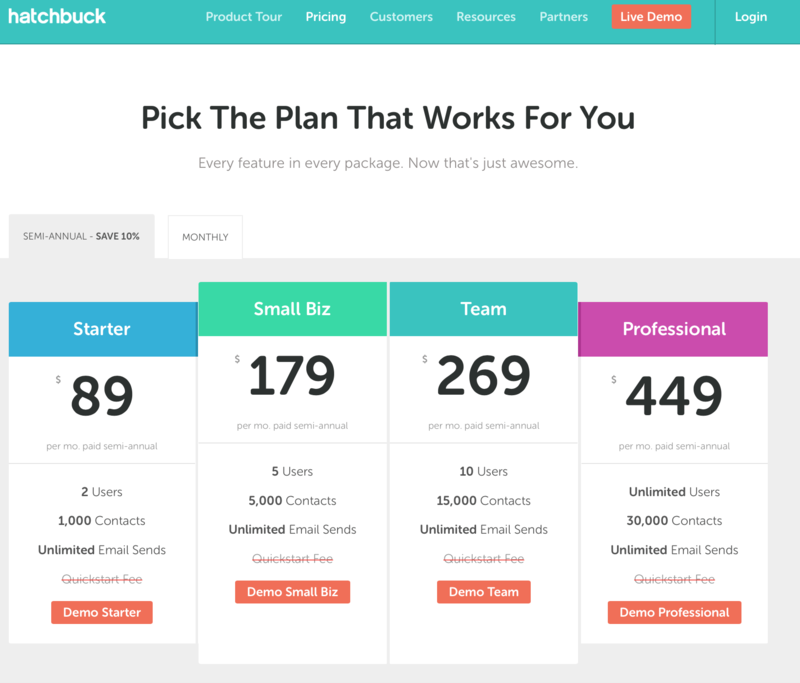 Hatchbuck CRM features a colourful yet clean design for their pricing page. 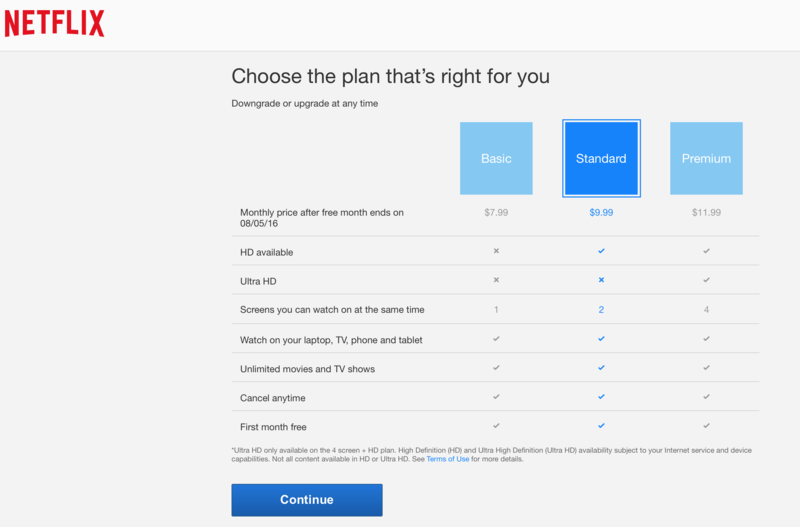 Netflix features 3 plans for users and uses a checklist approach showcasing the various features and benefit for each plan. The interesting thing to note here is that they are using a single CTA button at the bottom called “Continue” giving you the assumption that you are somewhere midway through the conversion funnel. Now that’s smart! 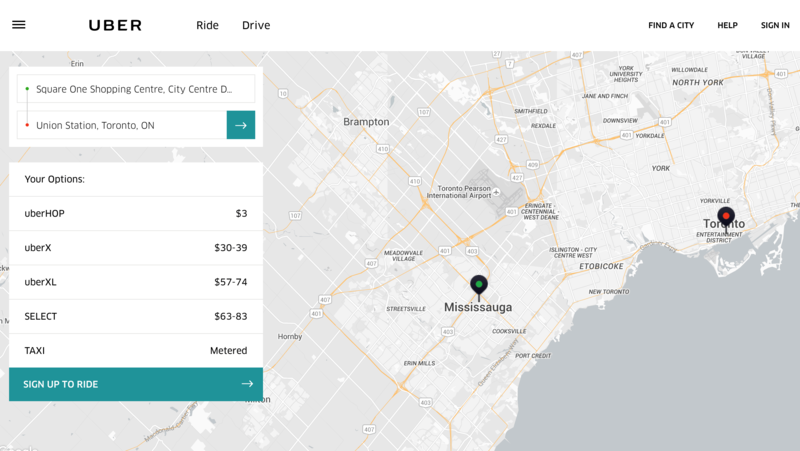 Allowing designers to share prototypes what’s interesting with Invision’s pricing page is that they are using a simple card based design to showcase their plans based on the number of prototype projects you can access. Their design should be an inspiration for anyone selling a product or service without many features. Selling a single products with some add-ons? Check out Casper mattress pricing page. Beautiful clean design showcasing the product to your left and the various options to the right this is a classic example of a single product page layout. 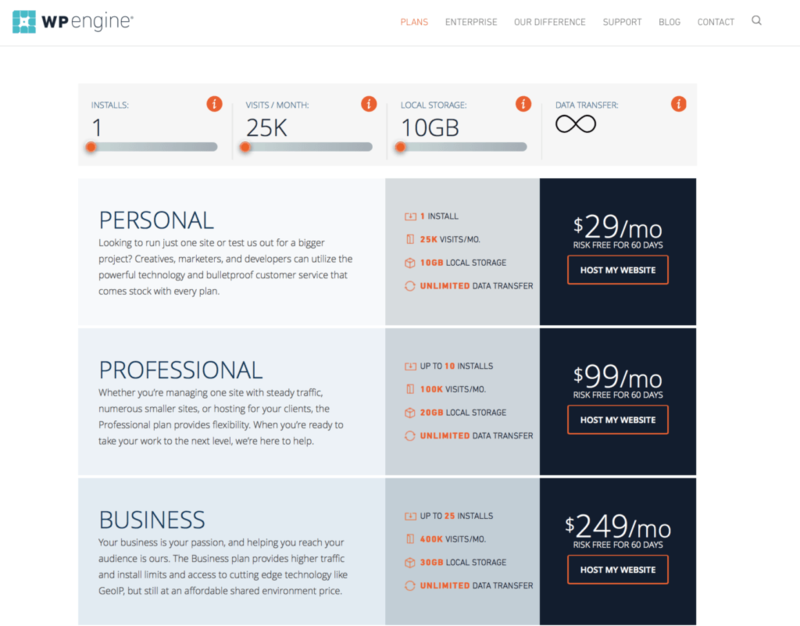 Check Out how WP engine lays out their plans for personal, professional and enterprise WordPress hosting. They have a lengthy pricing page where you can use their sliders to get an instant estimate as well as keep scrolling down to view the full tables. WOW really nice pricing pages. I guess these are really helpful for people who are selling products on their sites.